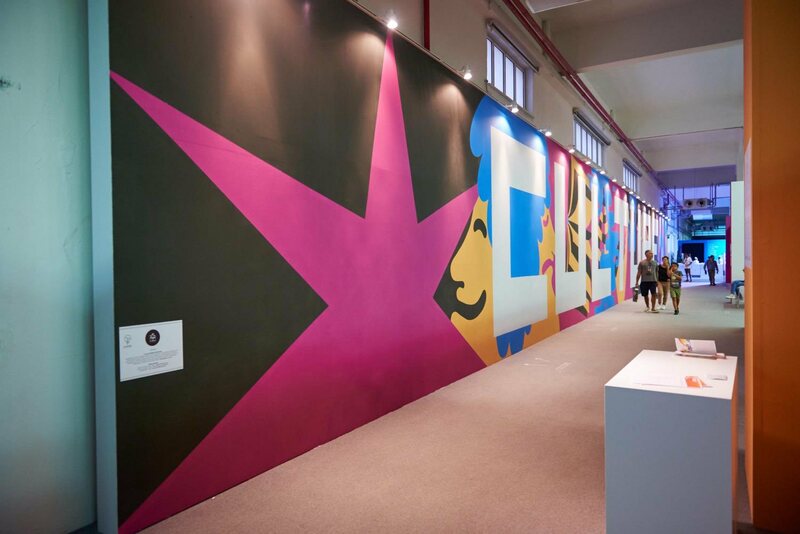 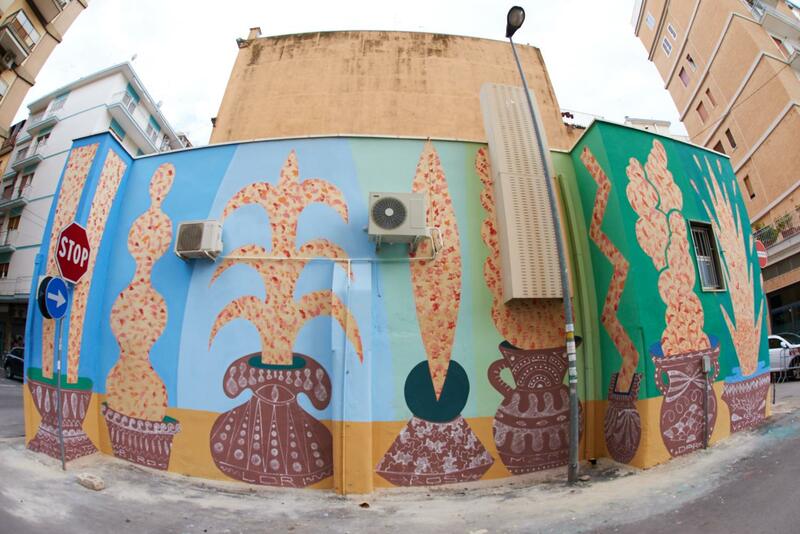 Here is our last project…finished! 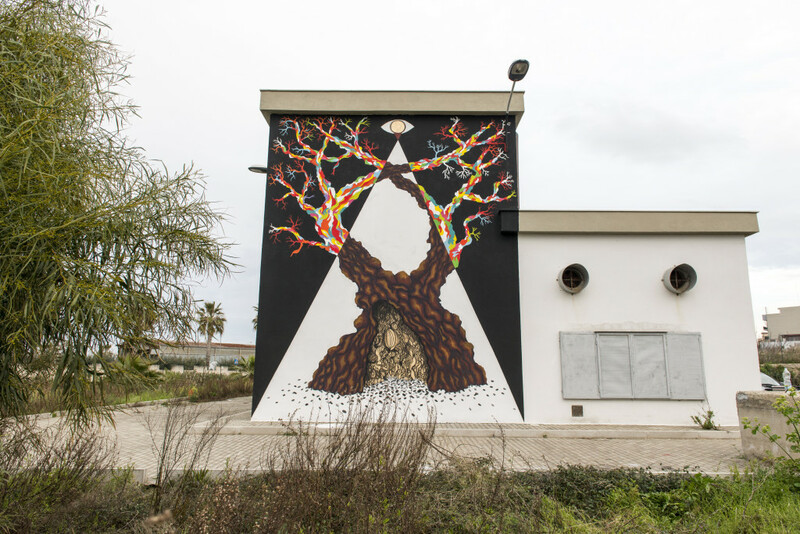 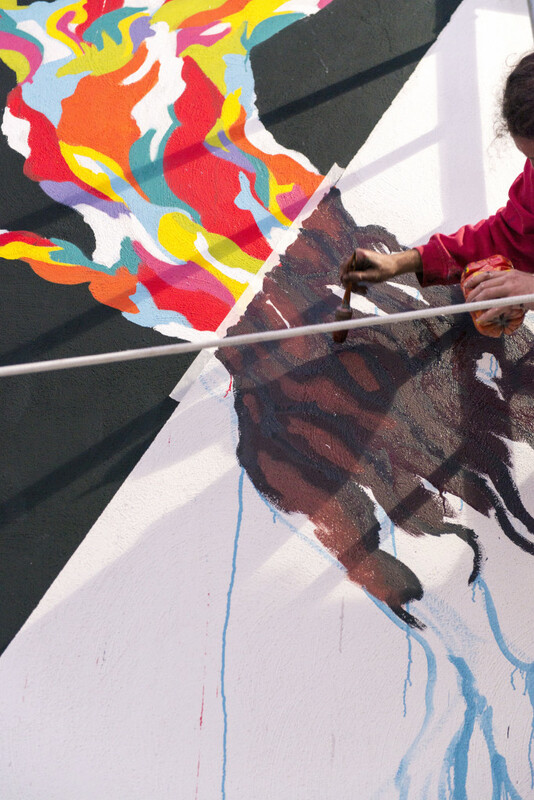 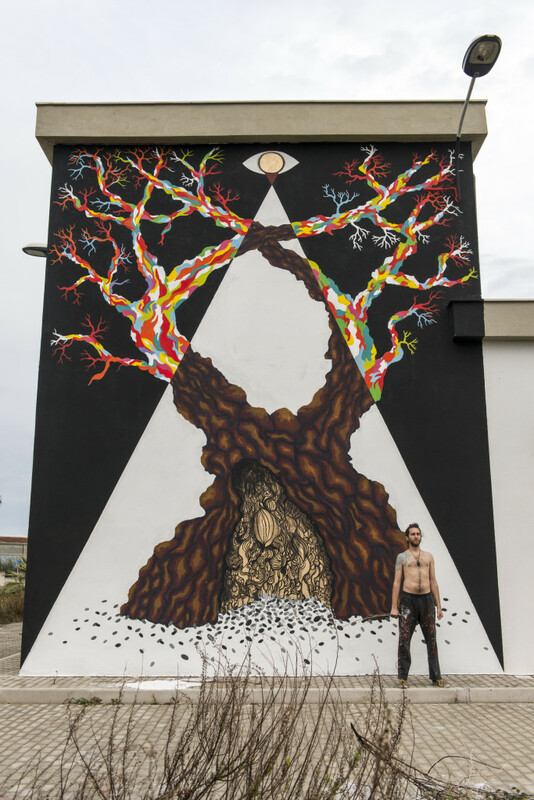 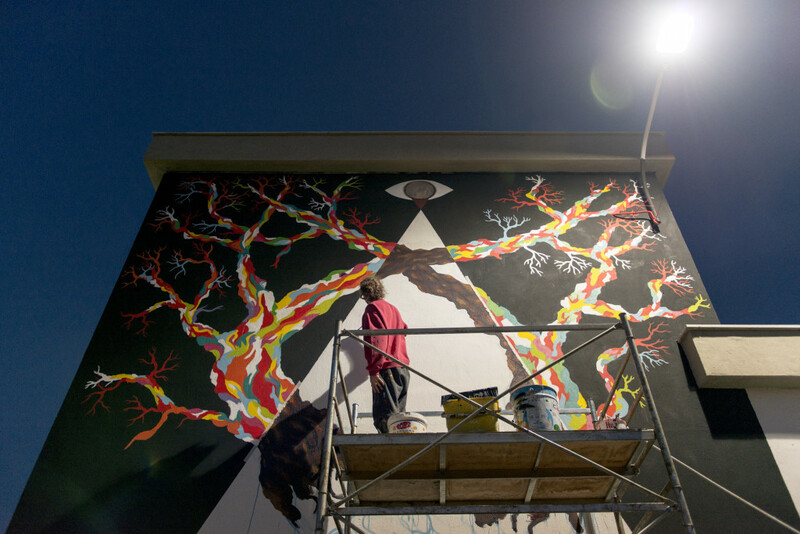 We started working with Gola Hundun on November 2014, then he came back to Bari in order to realize this stunning and somewhat enigmatic mural in the northern part of town, close to the seaside. 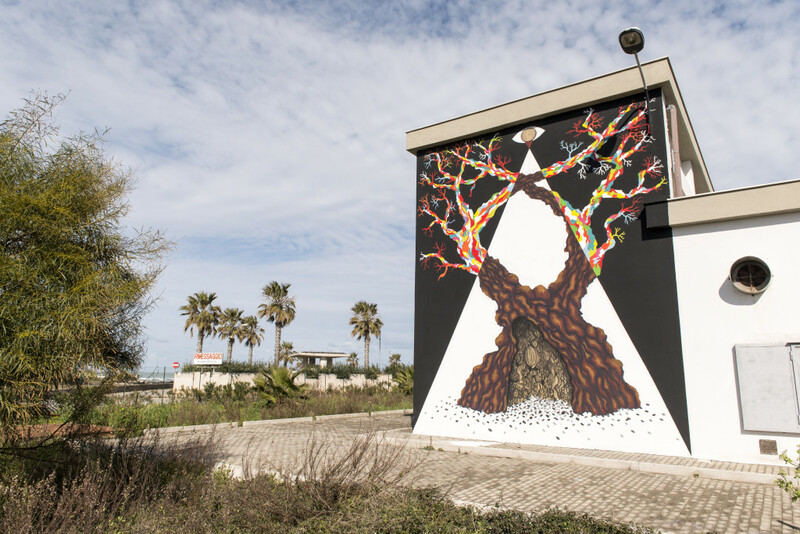 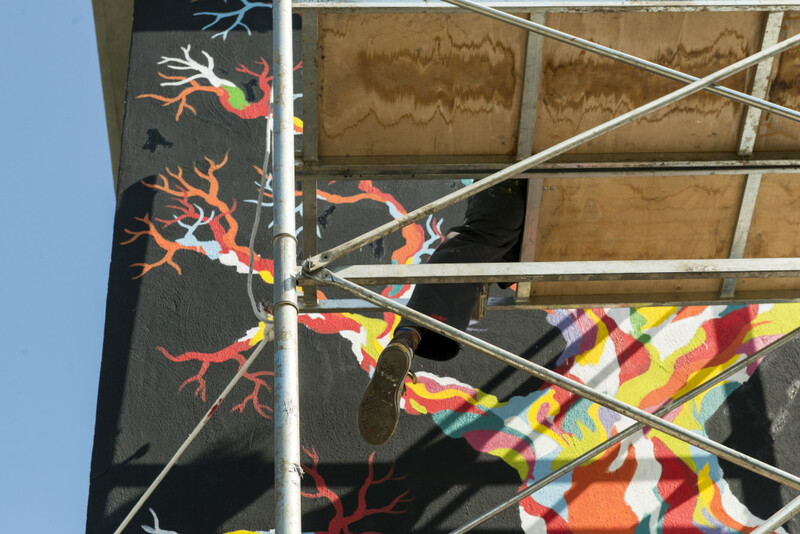 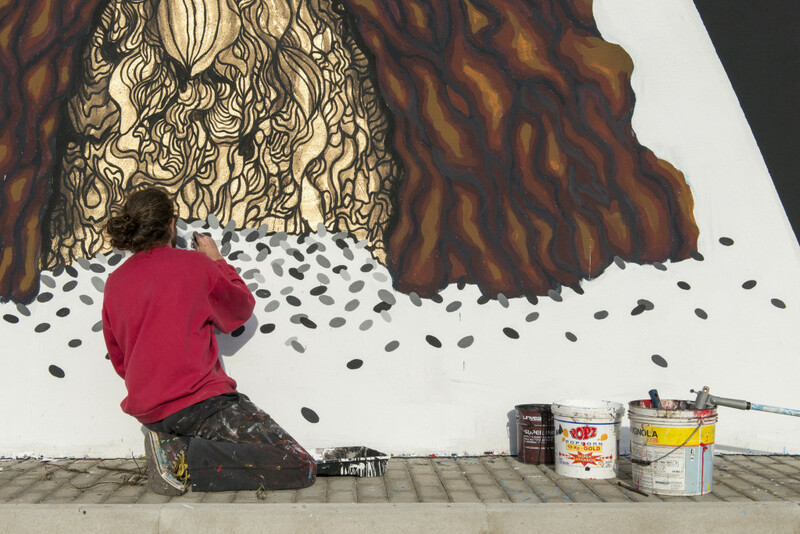 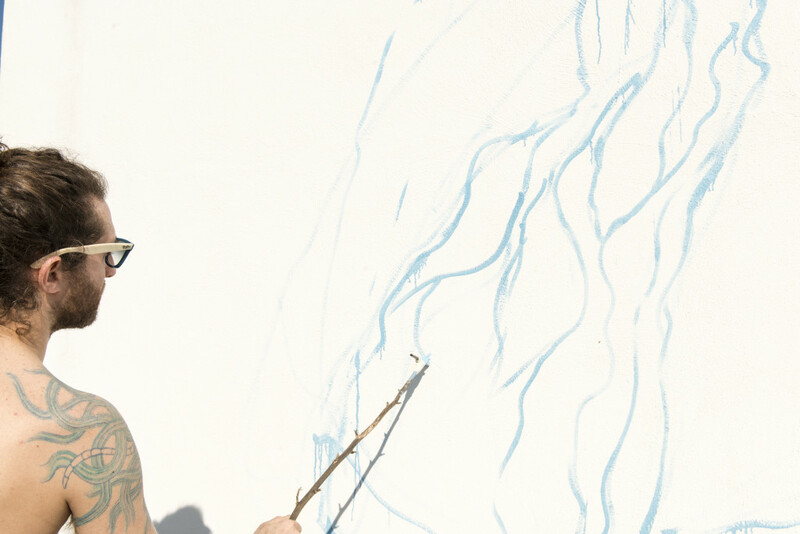 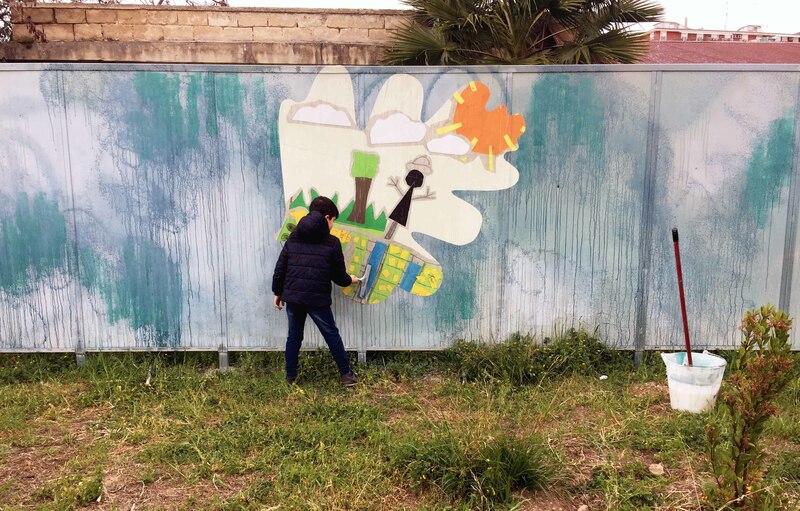 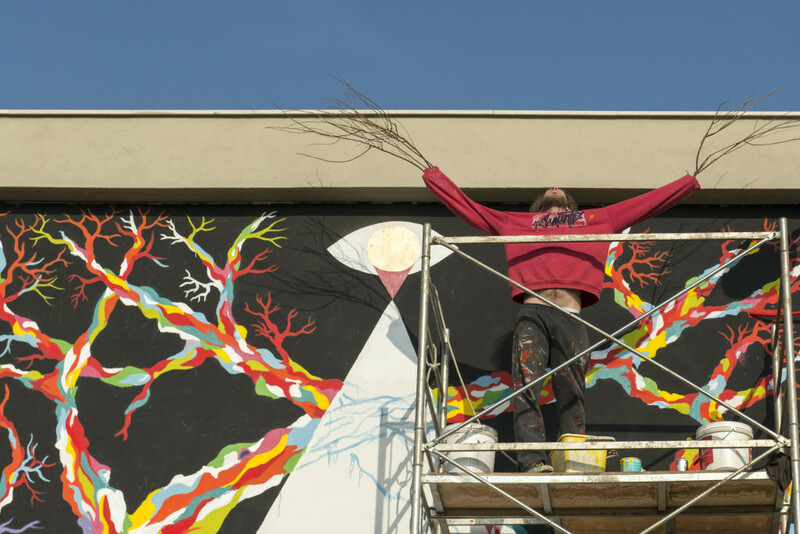 As you can see, the mural features an olive tree: olive trees have been recently exposed to threats like illegal eradication for clandestine commercial purposes, as well as to Xylella, a bacterium which has caused the death of several plants in southern Apulia. 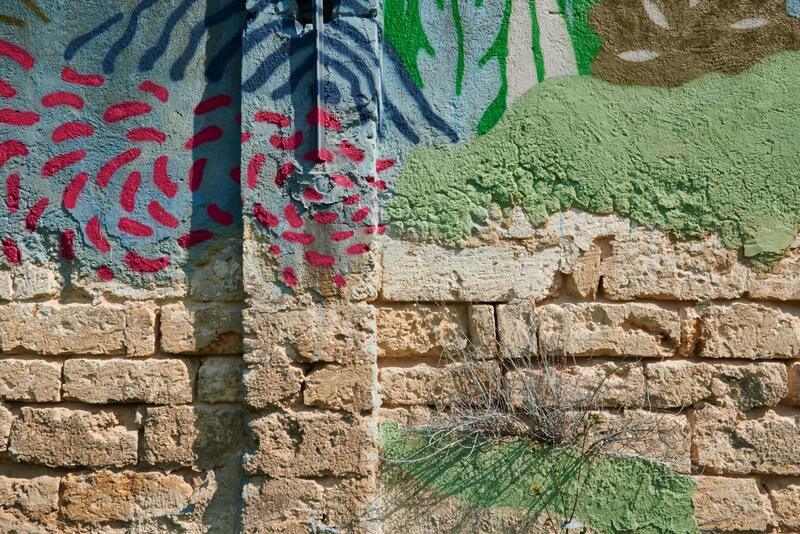 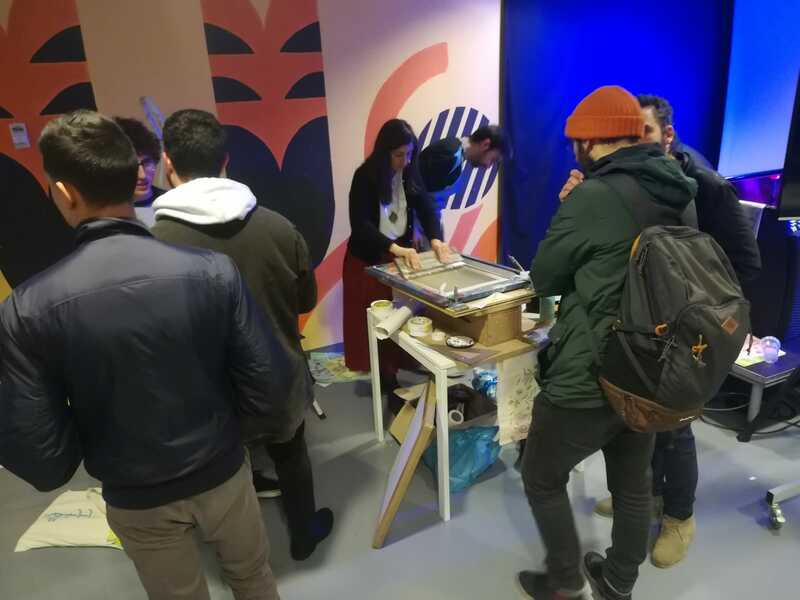 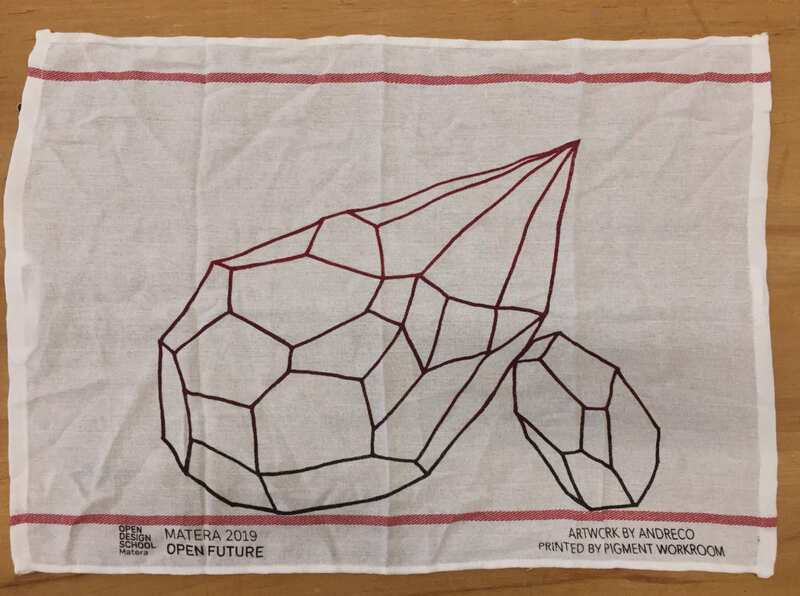 We hope you’ll enjoy it and, please, come and visit our amazing land (and studio)!